The Roundhouse Barns were formerly a collection of 17th-century farm buildings that were completely refurbished in winter 2009/10 and provide 2 exceptionally well appointed 5 Star Silver Award-winning Bed & Breakfast rooms (The Fal and The Minack). Our barns are exclusively for adults. From the National Trust owned lane at the top of our drive, there are magnificent views across the Fal estuary to Falmouth, Mylor, Flushing, Restronguet and the famous National Trust gardens at Trelissick. The Barns are set in lovely gardens on the beautiful unspoilt Roseland Peninsula, a mile from the River Fal and perfectly placed for touring Cornwall. Turnaware Point and surrounding National Trust land is accessed from the property by way of a private lane. Nearby St Just in Roseland is famous for its 13th century church and nestles amidst subtropical gardens. St Mawes, a yachting mecca, boasting a castle, shops, galleries, pubs and restaurants, is 4 miles away and our nearest pub/restaurant is a little under 2 miles away. The Lost Gardens of Heligan and the Eden Project are a short car drive (approx. 12 miles) away. A regular foot ferry service from St Mawes to Falmouth provides easy access to the National Maritime Museum. The Fal and The Minack are located on the upper floor of our main Roundhouse Barn. 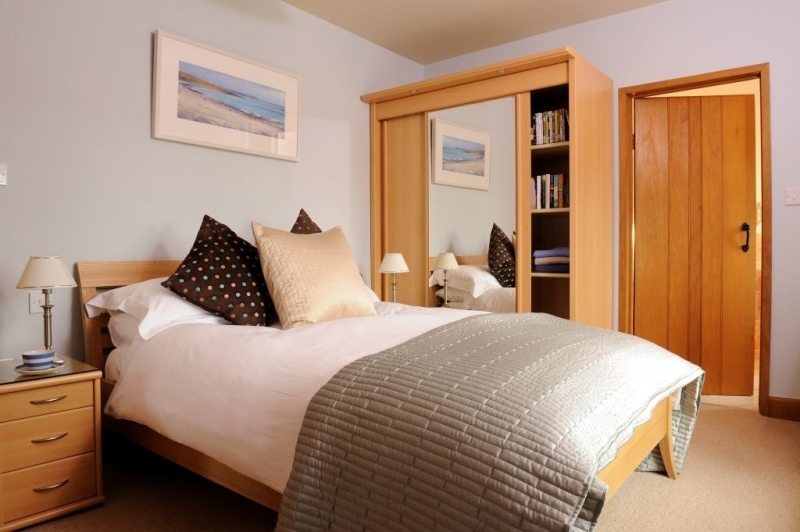 Each bedroom is tastefully decorated and has a feather down duvet and 300 thread-count Egyptian cotton bedding. The Fal has a Kingsize bed. It can also be offered as a twin-bedded room. The Minack has a double bed. Both The Fal and The Minack have ensuite shower rooms tiled in travertine and with large walk-in power showers. Each room has its own colour free-view TV, digital radio/iPhone docking station, hairdryer, kettle, and tea and coffee making facilities. There's also a small, silent-running fridge in which we supply complimentary fresh milk, fruit juice and Cornish mineral water. 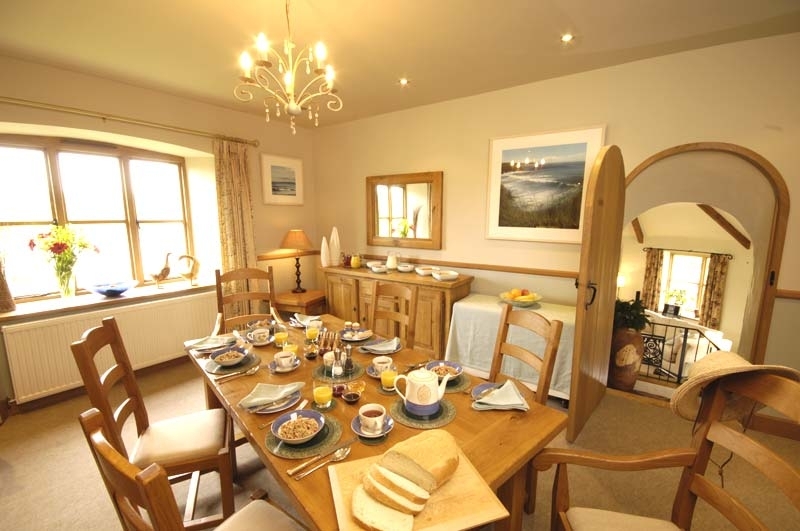 Prices from £95.00 per night per room including a full Cornish breakfast every morning. For the peace and tranquillity of all our guests, the barns and the grounds are no smoking areas. Also, we regret that we do not take pets.